The Jaguar XJ Celebrates 50 Years! In 1968, the Jaguar XJ premiered at the Paris Motor Show. Now, fifty years later, the model is in its eighth generation and is one of Jaguar’s best sellers. To celebrate, Jaguar will have the full fleet of eight models, including every generation of the XJ and the latest XJ50, drive the 521-mile trip from Jaguar’s Castle Bromwich Assembly Plant to the Paris Motor Show. Leading the pack is the car that started it all, the Series I, while the most recent, Jaguar XJ50, will be the final car in the fleet. 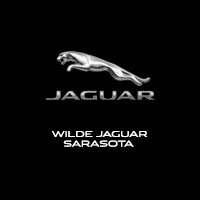 Other models that will be a part of the fleet include: Jaguar XJ Series II: 1973, Jaguar XJ Series II Coupé: 1973, Jaguar XJ Series III: 1979, Jaguar XJ XJ40: 1986, Jaguar XJ X300: 1994, Jaguar XJ X308: 1997, Jaguar XJ X350: 2003, Jaguar XJ X351: 2009, and the Jaguar XJR575: 2017. Along the way, the fleet will stop by multiple locations including Jaguar Classic, Bicester Heritage Centre, as well as the Goodwood and Le Mans race circuits.